Anyone tried the Pure Balance from Walmart? Michelle Powers: Was it made in China? Michelle Powers: Get rid of it dont take a chance and if they dont start eating asap go to vet. Layla Daniels: Hattie Nguyen: Save a couple of cans and see if you can get it tested. I haven’t been able to figure out how to do that yet but I’m going to find out in case if ever happens again to my cats. I’m still not sure if our issue was with Fancy Feast or the Instinct. We started buying a different lot of FF from different grocery stores here. Cash Dixon: We stick with Fancy Feast pate or Friskies. We won’t buy anything but well known brand names, you just never know if the stuff comes from China. Smells like deisel??? OMG chuck it. Abigail Phillips: Yikes! Hope your guys get to feeling better soon! Judah Wagner: Hattie Nguyen: I would check Google every so often to see if anyone else is having a problem with the food. Bennett Drake: Vet should be able to test it. Lilah Bryant: I hope your cats will be ok.
Athena Montgomery: Do they like tuna? You could mix some into their usual, good, wet food to tempt them to eat it again. Antonio Norman: Have they been vomiting? Are their toilet habits normal? Are they still drinking anything? John Wright: Oh, I hope they are ok…. I would get them to the vet ASAP. Fatima Davidson: Antonio Norman: Do you have Kittys or dogs? Jocelyn Hawkins: With cats and dogs, we’ve found that plain boiled and chopped chicken can sometimes get them eating again and doesn’t irritate their gut. With Frankie, I sometimes have to resort to hand feeding tiny amounts just to get him started again. I hope your boys are better soon. Dawson Bennett: Opie got really sick on a different brand of food and did the same thing. I tried everything. I finally found this that got him eating again. Now it’s just our normal food. It’s smell seems to make them want to eat again. Bailey Hansen: My NF not eat Royal Canin now. The dry and the wet food. Sage Mccarthy: I fed it to my cat and he ate it for about 10-14 days and then wouldn’t eat it so went back to old brand and he ate that for about 2-3 months and every once in awhile I would put a teaspoon of the Pure balance in his food just for 1 day. I did this for over a year he never was completely on the Pure Balance but would eat as a treat type change. Cats are really funny eaters. Fatima Davidson: I know this may not sound pleasant but, when my cat stopped eating because his buddy died The vet gave us a appetite stimulant to give him every 3 days. It worked for awhile and he started eating on his own! You may want to bring them to the vet for a check up and then relay this story to him. AND DID YOU CHECK THE CAT LITTER? WHEN YOU CHANGE FOODS they sometimes get diarrhea, which dehydrated them and also makes them loose weight. If they look push for the appetite stimulant, 1/2 pill every 3 days is what mine got. The dose might depend on the cats weight! Fatima Davidson: Hattie Nguyen: Geez they are long but not FAT by any means! They are beautiful too! And your daughter is cute too, i’lol bet she loves having kitty brothers, I know I would have!Isn’t there a vet that has a good reputation anywhere near you?You can’t let them get dehydrated! Fatima Davidson: I thought I wrote appetite stimulants! Not sprits stimulant! This I phone it’s like a goat writer!! Fatima Davidson: Hattie Nguyen: Yikes!! And I think it’s bad to have to drive 20 minutes to the vets! I used to live near the beach in So. Cal. And everything was 10 min away at the most!Now in Connecticut I am concidered in a rural area! But not as far out as you! Fatima Davidson: What is a goat writer?!? This I phone wants me to sound stupid!! Fatima Davidson: When I read my posts I look and sound NUTS! And I’m not nuts, at least I don’t think I am. Fatima Davidson: Hattie Nguyen: Drinking more than usual is a symptom of diabetes I think. At least in humans I think. Fatima Davidson: Yup it’s a symptom in humans, don’t know about cats though…. Fatima Davidson: Hattie Nguyen: Yes that’s rural for sure! But I am sure it’s pretty there. What does one do for fun? Fatima Davidson: Good thinking NOT GOID! I swear it’s the phone! When I had the Android this did not happen..
Fatima Davidson: Shoot! A bad jump! I could never never never jump out of a plane, I can barley jump high on a trampoline!Did you break every bone in your body? Cuz that’s exactly what would happen to me if I jumped…. Fatima Davidson: Hattie Nguyen: What is the immigration situation there? 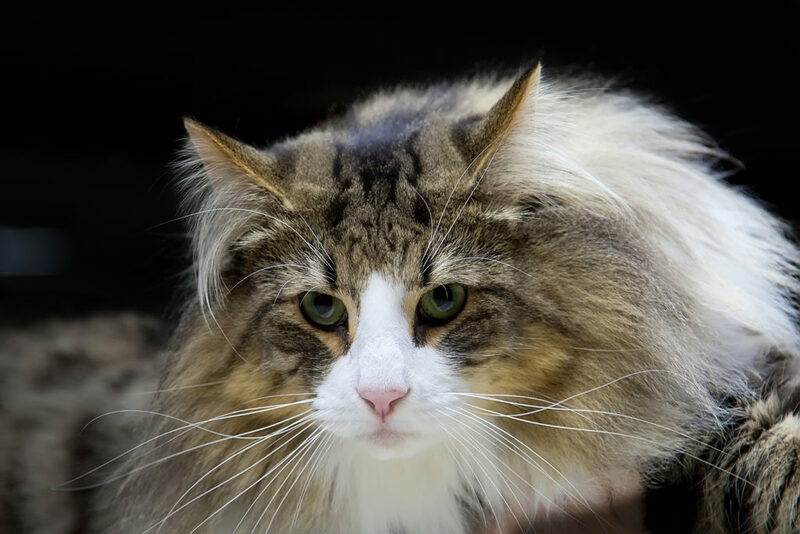 Fatima Davidson: Hattie Nguyen: Oops Am I in a Norwegian Forest Cat page? If so, sorry thought I was in Ragdoll Owners page! Fatima Davidson: Hattie Nguyen: life is short, but I really do not want to be looking over my shoulder to make sure someone who was raised to hate and kill me is not attempting to do so!That’s bad around the Great Lakes and Chicago! Fatima Davidson: Hattie Nguyen: Oh my god. That poor man. Well you had someone watching over you, that’s for sure! Fatima Davidson: Did you look at my pics and see my kitty’s? I can’t believe how big they have gotten when I look at the pic’s where they could BOTH FIT IN THE TOP OF THE CAT CONDO! They were so cute! Still are hoist bigger, Tagdolls are not concidered physically and emotionally full grown until age 3!! !So, at 9 mo I guess they are still babies! Fatima Davidson: They are just Soooo cuutteee!! Fatima Davidson: Hurray! I did it! Fatima Davidson: Hersey Young Joseph I wasn’t gonna say anything! She is not the only one who had trouble with Walmart food!Sage Mccarthy: had the same problem with Walmart food! SEE ABOVE! Fatima Davidson: Karla Silva: sorry I or auto correct spelled your name very wrong! Sorry! Jordan Griffith: Have you tried giving them stinky wet food? And still nothing? Our cat lost his appetite after going on Amytryptaline for anxiety. Jordan Griffith: Petco sells calorie supplement in a tube, you dab it on their paw, and cats are clean they will lick it off. Just a thought. I would be getting them to the vet. Mira Medina: Hattie Nguyen: if they have gone beyond 36hours of no food cats go into starvation mode and start to break down their muscles for protein. Feed very small amounts of food. Even if it is treats to start with get some human grade meat and grind it up cook it and add water from cooking it. I refuse to buy asda food (british side of walmart). Layla Daniels: The same type of thing happened to my two NFCs. We tried Instinct canned food a couple of times then they stopped eating. We weren’t sure if it was the food or something else that they ate. I brought them to the vet after a couple of days because it was so unusual. She gave them fluids and said that really helps. We cooked chicken in water only and fed them the chicken mushed up with rice. They loved the broth and drank it like crazy in the food and separate bowls. I kept making broth for a few weeks. Either I cooked the broth down for a couple of hours or took the chicken off the bones then cooked the bones down for a while longer. Bone broth is a wonderful healer for humans and pets. Fatima Davidson: I am just full of sad stories today, Sorry… So does everyone have all their Christmas shopping done???? I need to get my hubby a card yet, for some reason I keep forgetting that! Fatima Davidson: Antonio Norman: Thanks , it’s sad but at least he is no longer suffering you know? Jocelyn Hawkins: Just an extra thought. If you are taking the rest of the food back to the store, keep some back and take to Trading Standards or whatever the equivalent is in Canada. It is more likely to stop this happening to anyone else than if you just leave it to the company. Keeping my fingers very crossed for your boys. Hugs to you and purrs from Frankie and Gwen. Fatima Davidson: I cooked up some chicken for my kitties when I was making chicken soup for myself! I used organic chicken broth from a box to cook the chicken in for the cats, cut the chicken very small and poured the broth on the chicken! THEY LOVED ALL OF IT!I don’t think my chicken stock would have been flavorful enough if I did not use the boxed broth. It was low sodium so it was not bad for them or myself!Also I cooked and chopped the livers for them…. but they did not like them! Typical kids! Did not eat their liver! I had a cat that disappeared for about a week I looked for him everywhere, we had just about given up, when We came home one day only to see Sammy curled up on the front porch, he had ben hit by a car, be had deep scrapes in his legs and feet, We brought him to the vet and he confirmed that Sammy had ben hit and dragged by a car, he gave us special ointment for his wounds, he was covered in fleas the vet said he was probably near by but unable to walk home so he stayed away, trying to get stronger,I thank god he was able to make it home, we put him the spare bedroom and Zi cooked chicken livers in broth and also plain chicken, he loved all of it and ate it like there was no TOMMORROW, I tended to his wounds and kept the other cats away from him because he was weak and needed all my attention and all the food he could eat! My Sammy healed up and lived another 4or 5 yrs, the accident happened when he was at least 10 yrs old! He was my husbands out door kitty, and he really did not like it inside but he knew he was not ready to go back out, when he was ready he stayed in our walled in back yard and never was seen in the front yard again, Sammy was a sweet kitty and we also had his brother who was visually upset that Sammy had disappeared, and followed him around when he was better and back with the family! Jordan Griffith: Wow Nancy, what a tear jerker. Thank you for sharing that story. Happy it had a good ending. The ghings we fo for our furbabies. Mira Medina: Apple cider vinegar is good for them. I have searched for this brand of food it isnt wal marts own make as i can get it over here. I would contact the company themselves and let them know. I personally wouldnt use it. Do you have a pet supermarket like pets at home or pet smart or similar. If you do they will be able to advise food. Fatima Davidson: Hattie Nguyen: James did you ever try Fancy Feast shredded Chicken in broth 3 oz. size! Mine were on Royal Canin feet for kittens and they started to have loose stools, vet said Royal Canin made for loose sticky stinky stools in lots of Kittys! So he said FF from grocery store is better cuz it’s all chicken no corn or soy or wheat!They took to it like there was no TOMMORROW! I think you should give it a whirl! Mira Medina: Oh dear. Have you ever seen sheba they do pate and we have gourmet gold which is a pate. They could be under different names. Annabelle Cannon: Not sure if you can getvit where you are, but when mine get sinus problems and has problems smelling so therefore problems eating I buy cat food soup..
Mira Medina: I have brought this and my cats look for more it is about 2 mouthfuls for them. Annabelle Cannon: Gourmet is one brand.Sheba also do one. Mira Medina: Annabelle Cannon: he is in canada so probably a different name. If friskies is purina over there then gourmet is possible fancy feast. Mira Medina: Why cant the companies would call the food the same thing. Layla Daniels: Hattie Nguyen: Until their tummies settle from the upset they won’t want to eat much. Try the plain broth with a little cooked chicken and see if they’ll eat that. Then once they start eating that then you can reintroduce whatever canned food you want to feed them just a little at a time. It takes a few days. Fatima Davidson: Hattie Nguyen: It sounds like the Kittys are on the mend, and the foods you choose should be good for them , and something different, but easy to digest and process. That’s good, healthy soothing food , esp. if he’s not eating well. Mira Medina: Brilliant. Pet store all the way from now on. Make sure plenty of variety too. Jocelyn Hawkins: So glad they’re eating again. Hope they’re all back to normal soon. Mira Medina: Success then Hattie Nguyen: on find suitable food. Hattie Nguyen: I found out why the Wal-Mart food has a 5 star rating, its because they reject any reviews they don’t like…I tried to send a review, and they rejected it because they didn’t like it…really Wal-Mart? !…well word of mouth goes way further anyway! Mira Medina: It seems to have raving reviews on alot of cat sites. Find out who actually makes it and complain to them. If tgis was a bad batch they need to know. Mira Medina: Hattie Nguyen: go slowly on the food to much all at once could cause a fatty liver especially as they were refusing food for more than 36 hours. Mira Medina: Good just go slowly. Which ones did you get. Fatima Davidson: Mira Medina: Really? You feed your cat kangaroo?Do they normally eat that? And are there special benifits to Kangaroo meat? Mira Medina: I got some samples from my raw food supplier. They are loving it. Mira Medina: Oh gosh and we are basking in 10°c. Mira Medina: We have rain. Fatima Davidson: Mira Medina: Kath, You are in UK? Does it snow there ever? Fatima Davidson: Mira Medina: My boys are doing CUTE CAT! That’s when they do things that are so cute It makes me kiss them and kiss them and kiss them ! Then they stop CUTE CAT and run away from their crazy mommy!They are nose to nose sparring with each outher! Fatima Davidson: Mira Medina: Scotland gets snow routinely? Or is it a fluke! I have ben to UK, Scotland& Ireland, beautiful country side! And UK is a cool place to hang out! Fatima Davidson: Mira Medina: I guess that is one of the reasons we call Connecticut, Massachusetts, Vermont, New Hampshire& Maine New England! Similar to UK! Fatima Davidson: Mira Medina: WhenI was holding Peach, after the vet gave him the shot I told him to look for all his brothers and his sister. And he was peaceful .I know he is with everybody.Does saragina have cancerous lumps? I hope not:-) I need a female kitty because I am surrounded by males, human and feline! Fatima Davidson: Here is one kitty. His name is Raffy! He looks for trouble! Fatima Davidson: Here is Suggie! He is sweet , sensitive, and thinks twice before he does anything! So sweet! Fatima Davidson: 91/2 months old! I think he is going to be a big boy! Mira Medina: Our food isnt too bad. She is nfc mix. But have to be so careful. Fatima Davidson: Mira Medina: yes I know! That is one of the greatest drawbacks to living in the States! They are trying to kill all of us.It’s very bad and as I said I really do not think fruit from Costa Rica or Mexico is chemical free no matter what they say!! I know I sound paranoid, but with “ Organic Foods” being such a big money maker unscrupulous business owners will put ORGANIC everywhere! Jordan Griffith: Make a post, spread it all over social media and ask your friends to share. Mira Medina: Hattie Nguyen: it could be made by a company called ainsworth. They make some of the high end foods like rachels kitchen and blue buffalo and come up when i type in pure balance. Mira Medina: Alot of the sites i am on say ainsworth make it. I know of a couple of people as well as you complaining about it. Mira Medina: Good lord. My meat supplier offered me camel just before xmas i rejected it as i dont know anything about camel and cats. Thank the lord i did. I will let them know. Mira Medina: Camel itself isnt toxic but if australian camel they eat a plant that is toxic. I only really use human grade food that i personally would eat never fancied exotic meats. But the cats got some as a sample pack i refused camel from that it just didnt feel right same as horse. Mira Medina: I use on day of cooking put two days in fridge and freeze the rest the jelly gets mixed in when packing up. If you want to try again pressure cook and grind up like minced beef as in hamburger. And mix slowly into there normal food. I have one if i dont mix i am poisoning him. Fatima Davidson: Mira Medina: Well that is a great idea! If I slip it into their food they will get the benifits of good healthy foods, and it will be slowly mixed in!I had a cat that got injured and he was failing, I made prided chicken livers and he loved it and his coat got so shiny and full it was fantastic, plus it healed his injury’s really quickly!Do you add vitamins to your home made foods?